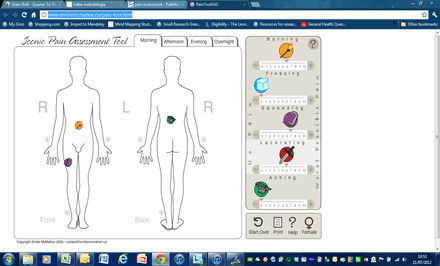 I just came across a fantastic (free) pain assessment tool developed by Emilie McMahon. A study showed how it was well accepted and easy to use with an heterogeneous group of participants. But if you want to know more about pain scales, you really need to read this recent systematic review.